There may be affiliate links in this article to find keywords for a website, read the full disclaimer here. Picture yourself one year from now waking up and opening your laptop. They are from an affiliate program you have been promoting. In fact, when you check you’ve been receiving a stream of these emails overnight. You’ve mastered how to find keywords for a website. Why Find Keywords for a Website? The word or phrase that best describes the content on your page. Hence, It is what people will type into Google to try and find what they are looking for. Secondly, what does SEO mean? Search engine optimisation is making your website easier to find on search engines. Write so that humans understand! Create and publish unique content consistently! However, what this page will focus on is the last point and how to find keywords for a website. Find keywords that people search for EVERY month. While you’re sitting down analysing this article, you begin to realise the importance of using keywords that other people are searching for. How do you find out what the Pope’s middle name is? Have you ever struggled to think of what to write on your blog? You probably already know this is pretty common for bloggers. In a moment, I’ll tell you the little trick that helps to find keywords for a website. It also can give you ideas for your next few hundred blog posts! Just picture this for a moment, you are a photography blogger and you want to write something about the best camera’s available. 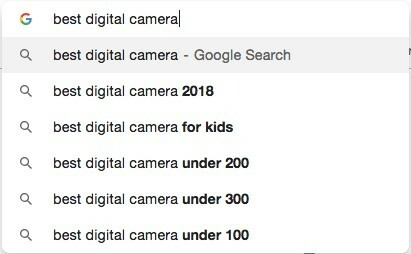 So, you go to Google and type in “best digital camera”. 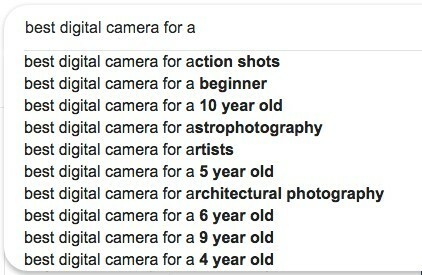 As you can see Google gives you ideas of what people are searching for beneath this. Now I can hear your mind saying, what if I don’t want to write about these things. Write the word “for” at the end. Now there’s a whole heap of ideas that you’ve been given. If you see one that you like the idea of, then you can then change the search to get more specific ideas for this. 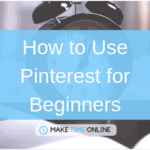 Within a few seconds, you have received over 10 blog post ideas and you’ve found some great potential keywords for your post. 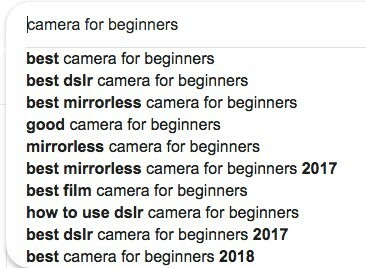 Do you see how “best mirrorless camera for beginners” is much more effective than “best camera”? This is more like a Long-tail keyword, which often means your writing is more specific. Thus, it will improve your chances to rank on page one of Google AND sell something! 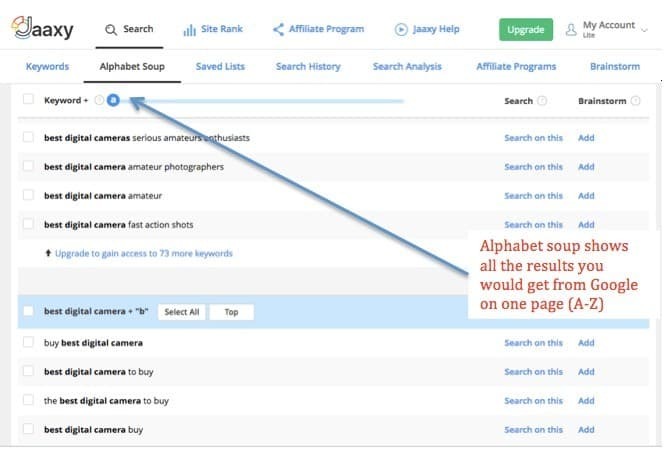 To help receive hundreds (if not thousands) of ideas for what people are searching for simply use the alphabet soup technique. 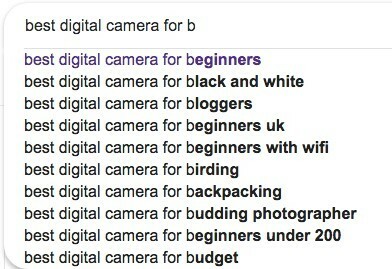 Type in your keyword then “b” etc. etc. Are you beginning to see how finding blog post ideas and keyword research is very similar? 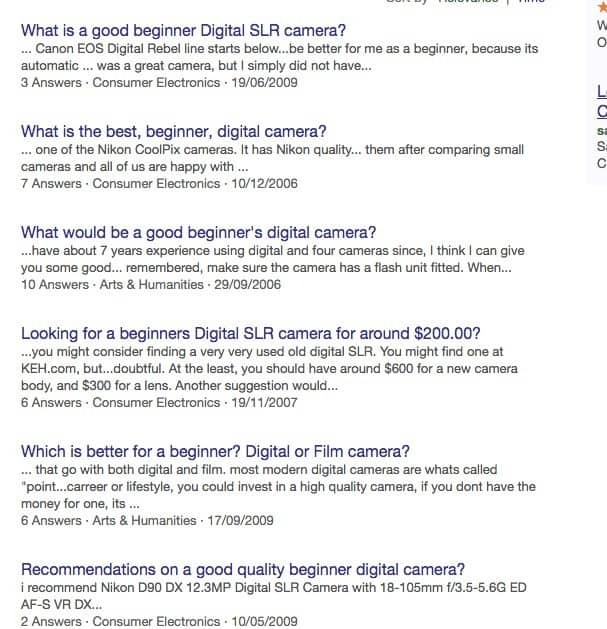 If you want more ideas then head over to Yahoo answers. 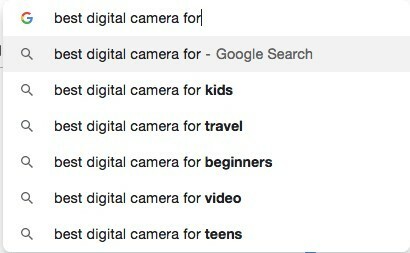 Now you can use your blog idea of a camera for beginners to see what people are already writing about to get some more specific ideas for your keyword. Have you noticed yet that it’s important to use a keyword that people are searching for EVERY month? But can you make your content even better than the content out there? 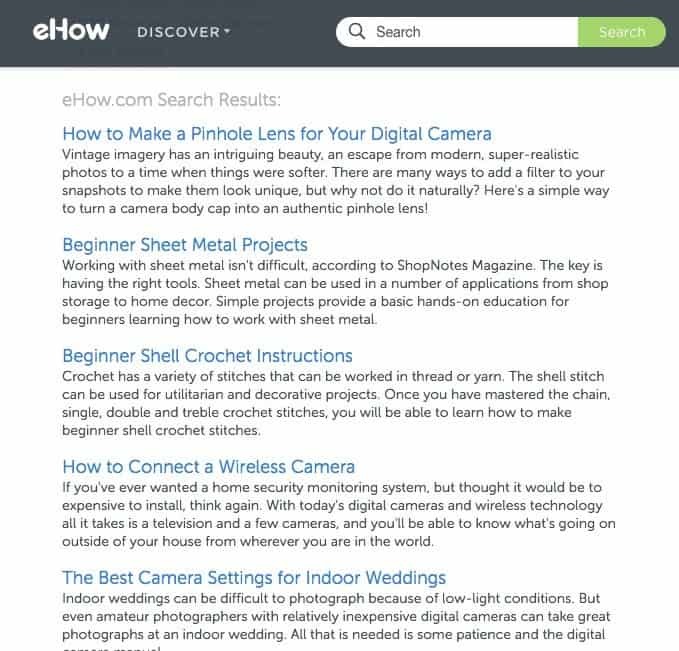 Another great website to find keywords for a website is eHow. The same idea applies as using Yahoo answers. Using these techniques will help to answer “how do I find keywords for a website?”. It will also make your website stand out like a white man in China. Jumping the gun are we? Only rare thinking people like you already know that it’s possible to use more than one keyword per page. If you use subheadings with other keywords in them then it’s easy to have multiple keywords per page. But how many keywords should you use per page? It depends on how long your blog post is. Also, it’ll depend on whether it makes sense to your post. And It depends on your own preference. For example, let me show you what I’ve used in this post that you are reading (medium length post). Since you’re still here I’m going to assume you want to find the best keywords for SEO. Now, I would like to help you experience receiving free traffic to your website EVERY month. Have you noticed yet that this is how bloggers can make money from a post that they wrote years ago? Therefore, this is how bloggers make a passive income! So, you want to use the above tips to get an idea of what to write about and some keyword ideas. This is the secret that all successful online marketers know. Pin this page to save it for later! If you’re like me, you’re still learning lots about how to make money online. You probably are looking for a way to make multiple streams of income and you know that blogging can be a great source of income. A keyword research tool is a website that helps to decide what keywords to use. All of these websites can help. However, they are not ALL designed specifically to find keywords. Wouldn’t it be amazing if you could use ONE website that does all the research you need? Little by little you begin to notice that there can be quite a lot of work to find keywords for a website. However, there is a solution that can help you receive more and more traffic over time. 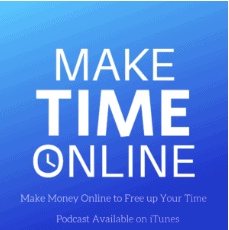 Imagine what it would be like if you could put the time in now to pay you over and over again in the future. This is where Jaaxy comes into its own. Click here to read my review on the Jaaxy keyword tool. I’m not going to go into all the benefits of Jaaxy now as you can read my review on it above. 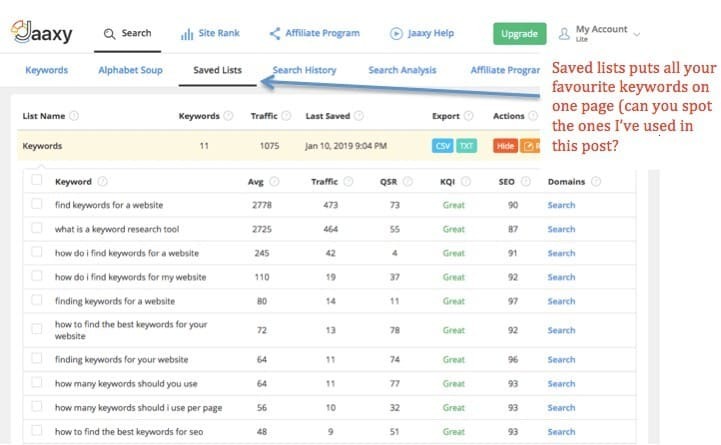 You can try Jaaxy out for free right now or you can pay $19 per month to receive this amazing tool at providing continuous traffic to your website. 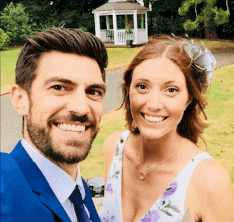 Check out this post for how I use Jaaxy, get affiliate marketing training, incredible hosting, receive mentorship and much more for $299 per year. 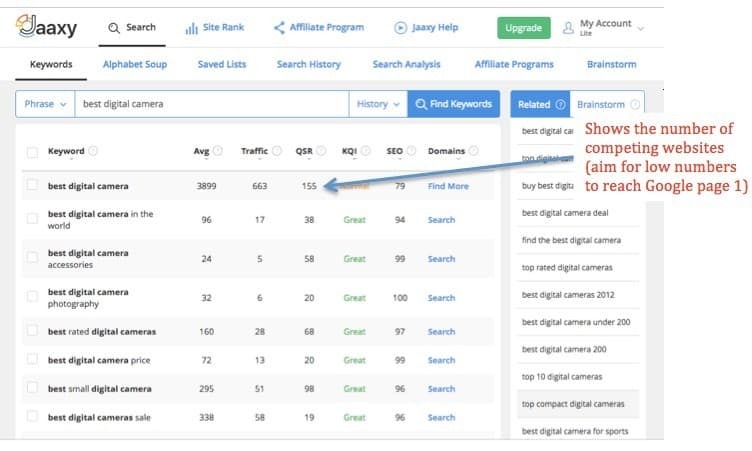 The closer and closer you get to the end of this article, the further and further your problem of finding regular traffic to your website disappears. The more you keep reading this article the more you realise it is possible to make blogging into an online business. If the keywords fit into what you’re writing then that’s brilliant! But DO NOT force them in if it doesn’t make sense or it’s not what you want to write about. And do you remember that it’s important to always remember one thing? You want to add value to your readers. Don’t focus on tricking machines to put your website on page one of search engines. This is not a sustainable business model! p.p.s. If you haven’t already done this, get the Yoast SEO Plugin. Yeah right now, thank me later.